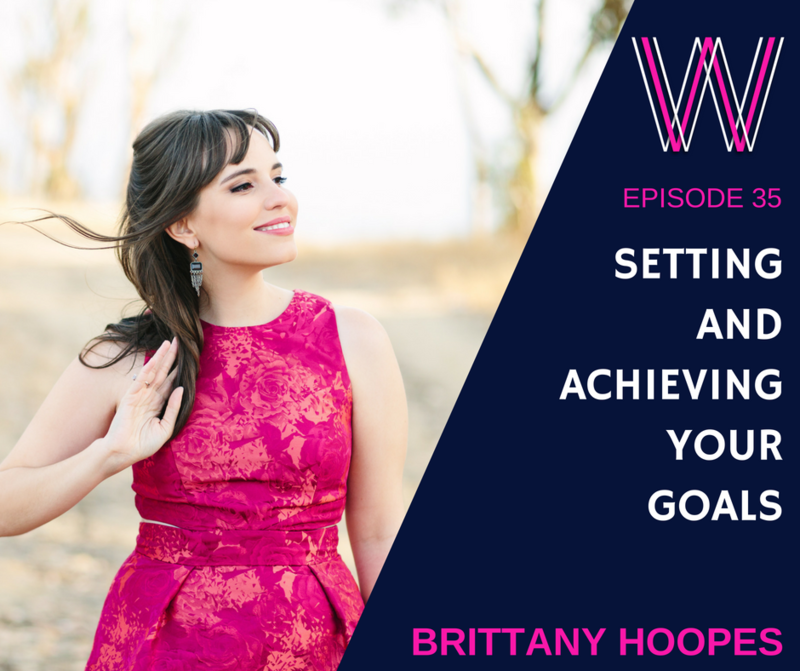 Goal expert, Brittany Hoopes, chats to Lisa about frameworks for setting and achieving your goals, and how you deal with the road blocks that come when the reality of life meets the dreams of our goals. 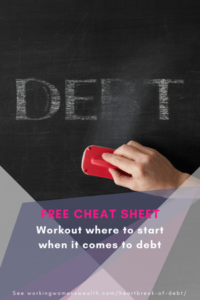 She takes us through what to do when we lose all hope, and how to achieve the recurring ‘new year’s resolution’ type goals such as losing weight and saving more. Brittany shares with us her personal goal success rate and the golden thread that goes through great goal setters. Soultiply is her podcast and also the name of her company that does qualitative research on goal setting and achievement. How do I channel my energy and remain organised around this goal? How do we manage the thoughts and emotions that block our success? Lisa Linfield: 00:09 Hello everybody, and welcome to this week’s episode of Working Women’s Wealth. Today I am joined by a person with great energy, a fantastic laugh, and a lot of deep insights and experience for a person of her age. She is just the most fantastic energy on goals and goal setting, and she very politely started by telling me in our preview that she had a lot of different views on the world to my own, and that’s something which I love because as Forrest Gump says, life is a box of chocolates and the great energy that comes from life is by having a lot of different people contribute different views and thoughts. So welcome Brittany Hoopes, and she is the podcast host and founder of a company that both have the same name called Soultiply. How are you, Brittany? Brittany Hoopes: 01:13 Doing so great. Thank you so much Lisa for having me on. I appreciate it. Lisa Linfield: 01:17 What is Soultiply, and what is it that you do? Brittany Hoopes: 01:22 Well, it’s quite a journey that I’ve been on, I will say. Soultiply is a podcast and an organization that I take my qualitative research and I study goal setting and achievement. Qualitative research, for anyone who’s not familiar, it’s pretty much the opposite of what we think of quantitative, right? Data, numbers, taking a survey, amassing a large amount of data. Qualitative is one on one conversations with, it could be experts. It could be really truly anyone, and it’s taking those conversations, those hour long conversations you have with individuals or perhaps in a focus group, and it’s coding and seeing the patterns that emerge from the stories that others share with you, and I have a background in qualitative research with B2B companies. I do a lot of marketing and branding and qualitative in that way, and it kind of led me to think well, that’s all fine and good. I love learning what people have to say about the latest detergent, whatever it might be, but what about an area that’s really near and dear to my heart, which is goal setting and being driven and those mental obstacles and the psychology that emerges while you’re going after your goals? Because it’s one thing to just know what to do tactically. Like, these are the actions I should take. But what happens when a roadblock comes up and you find yourself going through self sabotage, or fear, or doubt, or comparison, or any of those other icky feelings and emotions that come up while we’re pursuing what we want to pursue? That was the real question that I was most interested in, so I shifted my attention to goal setting and achievement and now I spend my time interviewing qualitatively driven millennial women who are right in the thick of their goals and are battling some of those more internal factors that are keeping them from living the dreams that they want to live. Lisa Linfield: 03:10 If you take millennial women, they are currently moving up the age curve and I guess have gone from that great thing that we all have when we first start our first jobs of thinking that this is exciting and this is the way the world’s going to work, and then they’ve started to have a few of as you called these roadblocks or mental obstacles that hit them. Are you seeing that pattern, or are you just seeing a generation of people that are far more aware of their thinking on goals and roadblocks? Brittany Hoopes: 03:40 You know, it’s interesting because I notice what got me excited about studying this time period in someone’s life. One, because when I started beginning studying it I was fresh out of school and I was interested in what are … There’s something here. When I talk to me and my girlfriends, we’re encountering kind of the same problems at the same time and we’re all going through this post grad life together, and as I’ve gone through that transition and then have talked to other people that are currently going through it now, I found something very interesting. There’s kind of this, especially for driven women, many of them did really well in school. Right? They got all the good grades. They knew exactly what they needed to do to get that A+, to get into that college or university, to be the president of the student council, whatever it was. Right? They knew the rules, and they succeed in that way. There’s recognition and there’s a reward system in place. But then as we all know, when you get out into the “real world,” your goals don’t operate in that same sort of system that we’ve literally been conditioned to since we were a young child, and I think there’s a lot of road bumps or mental obstacles that come up when you’re not necessarily held accountable by that same system that you’ve grown up with and you have to develop it for yourself and you have this sense of agency that you’ve never had in your life before. You get to make these decisions now. It’s all on you to determine your journey through this life, and coming to that realization is an experience and I think that’s what I’m finding with a lot of these driven women. There’s so much option for them now that it’s like, well how do I channel this energy? How do I remain organized around this thought? How do I create the life that I want to create when someone isn’t telling me the exact steps of how to do so? Lisa Linfield: 05:25 And also the exact rules. In my corporate career, I mentored and coached a lot of people and one of the things is that you get out and the rule book changes and nobody gives you the rule book, and it’s a very insecure place to be. Brittany Hoopes: 05:39 I can’t tell you how many people have said, “I wish I had a report card. Tell me how I’m doing. Am I doing okay right now? Because it feels like I’m floundering.” I’ve been studying this for several years and given that even just throughout say your young 20s, you graduate from university. Then you go through this floundering phase and it seems like you’re the only one, although everyone’s going through it, and then you level out. You begin to get your footing, and knock on wood, I’m lucky to say I’m nearing my late 20s. It does get easier over time and you find what works for you, and I think that’s been the core element of my research and my focus has been okay, so how do we develop what’s good for us and how do we manage the psychology of it? The mental roadblocks that come up along the way that even though when we know we should do X, Y, and Z on our to-do list, why aren’t we doing it? What’s getting in our way? What thoughts or what emotions could potentially be hindering us in that way? And that’s what I find most interesting. That’s what I like to study. Lisa Linfield: 06:38 What are the most common roadblocks that people encounter in terms of setting and achieving their goals? Brittany Hoopes: 06:45 There’s so many. There’s fear, doubt, comparison, self sabotage. There’s all these different ways, but think about it. Mental obstacles are very irrational, right? The rational is the action. The, okay, I know I want to save this much money so I have to do X, Y, and Z in order to save that each month. Right? Very rational. Very action-driven. The irrational is this whole other part of goal setting, and it’s deeply tied to our emotions. There are all these mental blocks that are keeping people from taking action and finding success, and in short it’s the irrational part that keeps people from achieving their dreams. And dream, and don’t let the little voices in the back of your head say, “But Brittany, how?” Or, “But Lisa, why?” Or, but, you know … Shh, and dream, and get really clear on that. In conjunction with that, having any sort of doubt or really get hung up on the how of the dream really blocks you from getting that clear detailed vision at the beginning. Okay. Now, how will come along, but it blocks that excitement. I have noticed in the people that I interview, it’s having that sense of hope and that excitement each day to say, “Hey, this is in my future for me. If I do X, Y, and Z, I get to live this life. How exciting is that? I get to look forward to this.” I mean, that’s one of the core elements that brought me to goal setting to study it in the first place. I noticed that I had a lot of big dreams and it was exciting to me to look forward to them, and I think when we start at the very beginning when we have doubt that we can achieve that, or we’re too hung up on the how and we don’t allow ourselves to fully dream first, it blocks that excitement. Then the last one I would say is, you know, a lot of people what blocks them from dreaming and coming up with these big goals is that they’re scared that they don’t even know what they want. That can be one of the scariest feelings, because it’s like you know you want a dream and you know you want something big for yourself in the future, but it’s a big question mark. It’s very hard to go after a dream when you don’t know what the dream is, right? But to have that desire that you want something big for your life but you don’t know what it is yet, it keeps people from wanting to dream because it’s uncomfortable and you see that a lot. Especially when you’re fresh out of school and you’re a millennial. Lisa Linfield: 09:53 So if I’m one of those people that don’t know what I want, what are the steps that I can take in order to brainstorm or come up with a dream or a goal or something to work towards? Brittany Hoopes: 10:06 Lisa, this is one of the hardest parts for us driven, organized, everything needs to be tactical, everything needs to happen in steps type of people, which I, I’m raising my hand right now for everyone who can’t see. That’s me. The biggest thing is getting yourself into an environment and a mindset that’s going to allow that bolt of inspiration to strike. Okay? There’s varying degrees of that. At the beginning we’re going to say, “Okay, I don’t know what I want. Well, I need to force myself to do X, Y, and Z to try to figure out what I want.” No. You need to kind of take that deep breath, relax, recognize that this idea or this passion or this purpose of yours will come in time but that you need to meet it halfway and in terms of the mindset that you are greeting it with, right? So I think there’s ways you can ease yourself into that. I think journaling is a great way I think to ask yourself some big questions, like what really lights me up? What really makes me feel joy? Describe your perfect day. Pretend you were watching a movie montage or a trailer for the movie of your perfect day or your perfect life. What would some of those scenes look like? I mean, write them out. Write almost a little screenplay of what that looks like. Get really clear, and then I think it’s also focusing on actions that maybe perhaps aren’t related to some big, wild, ultimate future goal but are really bringing you into joy right now. Because that’s how you release that stress and that pressure of coming up of what is the big goal or dream, and it will meet you. For example, when I came up with Soultiply, I was an actress before I was a researcher, which is quite a 180. I was in a very creative profession and I mean, qualitative research is still very creative. I get to hear people’s stories every single day. It’s incredibly creative, but it’s not like performing on the stage type of creative muscle, and I had recognized that I no longer wanted to be an actress because it was something I had pursued my whole life. I had incredible amount of identity wrapped into the idea of being an actress. It was a dream that I wanted since I was three years old. I’d pursued it for 25 years plus, and I recognized that it was no longer bringing me passion and bringing me joy, and so I had to let it go and what was the scariest thing is that I didn’t know what was going to replace it, and so it’s kind of like jumping off a cliff without your harness and hoping that you don’t fall splat on the ground, but it’s recognizing that you know what? I need to be in this mental mindset where I’m not so caught up in the negative that I’m allowing myself to explore those other options and that I’m okay in the meantime if I don’t know, so I just focused on things that brought me joy and you know, long story short, I remember where I was when the idea for Soultiply hit me almost like a lightning bolt. I was living in New York City at the time. I was on the subway. It was on the A, C, E line which anybody who’s ever been in New York City knows that this particular subway is very grody. It was not an ideal place for inspiration. I’ll tell you that, Lisa. But I was sitting there and it just hit me that, you know what? Through everything, my whole journey, wanting to be an actress, wanting to have all these other goals, the idea of the hope and the excitement for the goals and the idea of working toward something has always been the thing that’s kept me going. Why don’t I explore that? Why don’t I develop something? That’s my true passion right there. That’s the thing that’s always been with me and something that always will remain with me. Why don’t I explore that? And it was because I had spent all this time trying other careers, trying other things, exploring other hobbies, really allowing myself to explore that the idea finally did come to me and that you know, I was finally able to develop a goal around that idea. Lisa Linfield: 13:47 You’ve mentioned hope. That excitement and hope. You’ve mentioned it twice. Hope is quite an interesting topic, and not having hope is a massive challenge. Tell me a little bit about that and your thinking around hope. Brittany Hoopes: 14:03 As you said, it’s so vital. I think hope and excitement for me really go hand in hand, because first of all when you go about your goal journey, you have to believe that it’s possible on some level, and I think that’s one of the biggest mental obstacles that we encounter is that we have this doubt. We have some negative belief, either about ourself or about the world, or something that’s holding us back in thinking that this goal might not be possible for us, or maybe we’re just scared that what if I do all this work and I do everything “right,” I follow all the “rules,” you know, getting back to our previous conversation, and what if it doesn’t happen for me? I think having this hope and that for me leads to excitement of feeling hopeful for the future. Feeling, you know what? I know that if I continue on this path and on this journey, there’s this really exciting life that I have the opportunity to live is just so amazing to me, and I always feel that it’s a huge motivator as well when it comes to your goals. Any time I have a goal I look for ways to infuse that hope, to infuse even more excitement, to look forward to the goal that’s going to happen. I think that helps us make it feel real, that if we can look forward to it, it makes the journey and maybe some of the parts that feel a little difficult at times feel real to us. For example, I did this back in college. My boyfriend at the time, which is now my new husband, we were saving up for that Walt Disney World trip. To go to Walt Disney World. Our first vacation together, and we were college kids so we were scrapping together. We were saving up for this trip, and one of the things that I did is that I bought just a little cheapo, I think it was made out of foam. I might have even gotten it in the mail. Mickey Mouse ears to put on my key chain, and I put it. Lisa Linfield: 16:34 What happens when life knocks you down and you’ve lost hope that this goal is ever going to happen? Brittany Hoopes: 16:42 That’s tricky. We each have such unique experiences in our lives, and even beyond that, we have unique ways in which we internalize and tell the stories to ourselves of those experiences. You and I could go through the same traumatic event and we might process it differently, and so I think if you feel like you’ve been knocked down, I think you have to just reassess where you are in this moment and kind of get out of the story of the past and even sometimes get out of the story of the future, and really tap into where you are right now and say, “You know what?” This is actually a brilliant point that was brought up in a recent episode of my podcast, the Soultiply podcast. Episode 10 is all about resilience and perseverance, and I spoke to a lovely woman named [Casey Pak 00:17:32] and she does a lot of work with migrants and immigrants coming into the United States where I’m located, and the amount of hope and resilience that you have to have when you’re leaving your home country to a new land and you’re essentially having to start over. I mean, my mind can’t even wrap around that idea. It’s so huge. So many people have to leave their homes, and they had big dreams that they had back home and now they’re having to start from scratch, and one of the things that she said that really stuck with me was to recognize, you know what? This situation right now, this life that I’m living, it’s not exactly where I thought I’d be. It’s just a little different. It’s not gone. It’s just different. And I think I’ve been kind of internalizing that message recently and I notice a lot of people who are able to harness that hope and begin again with their goals are recognizing that you know what? I might not be where I thought I’d be right now. There might have been some roadblocks that came along the way, some circumstance, some trauma. Whatever that might be for you that came up that was unanticipated, but it doesn’t mean it’s done. It just means that it’s going to be different, and how can you pivot from there is really how you can remain resilient. Lisa Linfield: 18:40 Yeah, and I also think added to that is that one does get more resilient through life. The first time I think you get knocked down and you experience real loss of hope takes a lot longer to get back on track than the second time, because the second time you get knocked down you know that you’ve actually been in this position before and you can draw on the past experience that says, “Hey, I’ve been here before, and you know what? I actually got through it.” Building on what you’re saying is that part of that whole thing is recognizing that this might not be exactly where you want to be, and this might not be the outcome that you had dreamed and hoped for. You know that you’ve managed to survive it once and you can survive it again. Lisa Linfield: 19:29 And that time of turnaround becomes shorter if you can draw yourself out of that hopelessness to think back to those times when you’ve managed to get out of a similar situation. Brittany Hoopes: 19:41 Absolutely, and I think that’s looking towards your past goals and the things you have achieved. I mean, one of my favorite mantras or quotes that I love to repeat to myself, and I’ve learned this through the research, is I can do hard things. I love just saying that. Whenever you feel hopeless, remember, “I can do hard things,” and go back to something that you remember from your past that you couldn’t imagine that you have done, and that you end up doing it. Even just living through some of the situations that maybe brought along the hopelessness to begin with. The fact that you are here and that you’re trying again, that’s difficult. There are a lot of people who can’t even make it past that step, and recognizing that you are capable of doing hard things. That means that you can get out of this too and you can make your future dreams come true. In your research on people achieving goals, have you come about a formula or a way that helps people with ongoing recurring goals that they’d like to get? The kind of things I’m thinking of are, this year I’m going to save more, or this year I’m going to lose a whole bunch of weight, or this year, dot, dot, dot, dot, dot. Those things that we come back with renewed vigor and energy around achieving, but never seem to be able to make the change and do it. Have you in your experience come up with a way for those of us who seem to be stuck in Groundhog Day? Brittany Hoopes: 21:33 Yeah, absolutely. I’m going to start very simplistic here and give you a framework. It’s a framework and it’s very bare bones because the personality that you bring to it is going to color how you achieve that goal, because we’re all so different and we all have these different mental obstacles and we all have different goals and there’s just infinite iterations of how this could operate in somebody’s life, but I’m going to say here are three main steps I think of coming up with a goal and then sticking with it. One, you want to dream up the goal, right? You want to get that clear, detailed vision of your goal, and that’s the part that we were talking about a little bit before about right now you aren’t concerned about the how. You’re just envisioning what that thing that you want, assuming that you do the steps that are going to get you there. The second one is recognizing what actions can help get you there. I like to liken it to taking out a sketchbook. Say you’re an artist and you’re going to take those broad strokes to establish the picture that you’re drawing say, and so you kind of need to start broad and then you fill in those details as you go, but now you are determining, okay, what logical actions can I take that will help get me there? So we could go into each section in big detail, but I would say that’s the framework here that I think you can apply. I mean it’s continually being refined the more and more I talk to people, but that is the broad framework that can keep us aligned with any goal we come across. Lisa Linfield: 23:27 You mentioned that this is a broad framework and your personality colors in that framework. Do you believe that there are different personality types or something genetic that determines whether you’re a person that sets goals and sticks to them or whether you’re a person who has lots of lofty dreams but never makes it happen? Brittany Hoopes: 23:51 I think that’s such an interesting question because I honestly in my heart of hearts after speaking to a lot of different people with a lot of different goals with a lot of different personally types think we all have the opportunity to set goals and achieve them, and I don’t think it’s any one personality type that’s going to make that happen more than another. I think what mental obstacles you come across during this goal journey will be influenced by personality type. So say you have the driven, ultra organized, very type A type person, which are often very much into goal setting, right? They might be really great at some areas of coming up with the list, coming up with the action plan, put it in their schedule, keeping themselves organized and intact. They got that down pat, right? But they might have, and this is so unique to each individual, but they might have some elements where they’re doubting themselves or they’re getting hung up on the more intangible part of it, the creative inspiration parts of it. The times that it doesn’t follow the set formula or the set list, and maybe that makes them feel very uncomfortable, or that they can freeze up when those things happen. Whereas if you have somebody that’s a little bit more creative, a little bit more big picture oriented, maybe they lose those to-do lists everyday. They’re not able to write it down. They don’t do this. They don’t do that. They don’t stay to a schedule, so they’re having difficulties more around the tactical parts of it but they’re able to dream big and they’re able to maybe not get so hung up on the day to day actions of it. I am very much in the type A group. I have a planner. I am incredibly organized. I track all my goals. I write everything down. That’s what really works for me, but when I was an actress there was so much rejection and so many auditions that you go on that you would never hear back on, and there was so much of this element of having to let go and trust that that was kind of a big mental obstacle for me. Whereas I would see other actors that that part, yeah sure, it might bother them but they internally recognized that that was just the name of the game. That was part of the goal, right? They were much better in just being in the moment and not so future facing, and sure enough they would be sometimes 15 minutes late to their audition and they wouldn’t get a job because of this or that, or that organization sort of thing, or they had their own mental obstacles that they were coming up against, but they were able to more be in the moment. And so I think if you are looking to really achieve that goal, I think it’s embracing where you are now. Recognizing okay, what is your personality? What mental obstacles do you come up against most often? And really sort of catering this framework around the areas that you are going to have issues in, because we’re all caught up in our own story and we’re all living our own story, and that’s one thing I’ve really had to learn as a researcher is that sure, I bring my own experience to the table and I can speak to that, but I always make it very clear that this is just my own experience. That’s why I need to talk to so many people. That’s why I need to do so much research, is because I need to have a holistic understanding of every way that people are coming at this, even if they don’t share the same personality traits and same views as I do. Lisa Linfield: 26:49 It’s fantastic you say that, because I’m a whole brain certified coach and the reality of what you’re talking about, all the steps that you went through represent the whole brain in HBDI and what you’re saying is hugely valid in the fact that in order to be successful in life we need to access both those parts of our brain that are natural to us, in your case the organizing, but also work out how we access and leverage those parts of our brains that are slightly unfit. If you’re very organized, it’s often the visioning part that’s not, or if you’re very great at visioning and have all these great plans in life, often it’s the execution or organizational part that’s not as strong. The reason why I became a whole brain coach is that fundamentally, the underlying assumption is all of us can access our whole brain. There are just some things that we need to work harder to access. It’s this whole thing of in fitness and in health, cross training. You might like swimming, but if you want ultimate health you also have to push weights, and run, and jump off things and do different training to make sure that your body is conditioned in different ways, and in the mind that’s exactly it. We all have a natural tendency and preference out of the steps that you mentioned to favor one or the other, but this essence of being able to be successful is to make sure that you access all parts of your ability to think. Those analytical, data driven people struggle to use imagination and dream, so when I facilitate sessions with clients either teaching or in my speaking sessions, that whole thing of dreaming and allowing yourself the freedom to dream and the imagination is hugely uncomfortable for them, because it’s not a part of their brain that they’re fit and strong in. It’s not a muscle group that they’re used to exercising, and when I look and take creatives through this stuff, they really struggle on coming up with the detailed plans. On sticking to the habits every single day. Because, you know what? Life is one big great adventure and oops, there’s something more exciting. Off we go. And the secret to life in anything is having a whole brain view. Accessing all elements of your thinking and your creative styles and getting yourself into places which are uncomfortable, because they’re what helps you to be able to achieve the things that you’ve done. Lisa Linfield: 29:18 So if you are into goals and you spend your life thinking about it and chatting to people about it, are you someone who has always naturally and do you always reach your own goals? Brittany Hoopes: 29:32 Lisa, no. I mean, goal setting is so important to me, and I honestly feel all of us in anything that we’re pursuing, this journey of our goals in our life, there was a reason why we got into it and, I mean of course I am incredibly goal driven and I’ve achieved a lot of things that I’m very, very proud about and I make goal setting fun for myself. Every year, I’ve been doing this for five or six years now, I set 100 goals for the year. Almost like a bucket list for the year. I mean, obviously I’m very goal driven but one of the biggest reasons why I wanted to get into research goal setting is because it continually fascinated me. Because it’s something that I do continually want to learn about and I want to learn from others, and I want to be outside of my own frame of thinking on it, and I want to embrace what other people are bringing to the table about it and learn from that and try to take a step back and analyze it all and learn from it. That’s really it. I feel like it’s constantly a journey and I’m so thankful and humbled by the people that I get to listen to who will share their stories with me, because things stick with me and I’m able to implement that in my own life towards my own goals as well. I just want to be a big facilitator of information. That’s my goal. To have their story move through me so that I can share it with others, or that I can combine it with other stories I’ve heard and be able to distill the information and share that through the podcast or whatever it might be. That’s my goal, and so I’m very lucky in the fact that I get to learn from that. Lisa Linfield: 30:57 If you’ve done this for five years, what percentage of your 100 do you usually get through? Brittany Hoopes: 31:03 Oh, you know what? I’ve gotten so much better at tracking it. Now I have an Excel spreadsheet. Oh, it’s so cool. See my husband, actually this is quite apt for a financial podcast. He’s in finance, and so he’s very good with setting up Excel and doing modeling and things like that, and I said, “Here’s what I want for my goals. I want to be able to track it. I want to be able to track which goals I made progress in, which ones I’ve achieved. I want to see what my burn rate is throughout the year. I want to see all this stuff,” and so let’s see. Last year I think I did of my 100 goals, I accomplished, finished all the way through 47. Lisa Linfield: 31:40 Wow. That’s great. Brittany Hoopes: 31:42 And we’re thinking, I’m a goal setting coach. I mean, sometimes I feel a little ashamed to say that. Sometimes I’m not, but I also want to say that what’s great about this particular exercise in general is that one, it keeps it fun. You have to be enjoying that journey. It kind of satisfies that competitive streak in me to compete against myself to see okay, can I beat next year? Can I not? Then two, it also does this one element that I think is so crucial when we’re figuring out how we want to achieve some of our bigger goals, right? It’s breaking down that goal into what I like to call manageable moments. Okay, so my 100 goals. Say I take a big goal like Soultiply. Like the podcast for Soultiply. That was a huge goal for me I launched at the beginning of this year. I have so many little goals that are on my 100 goals for the year list right now that have to do with the big goal of growing Soultiply, of growing that podcast, and so I break it down into manageable moments, and I keep on breaking it down and I keep on breaking it down, until I feel that I have listed many goals that don’t cause me to freeze up. Because the manageable moments part, that’s often when people freeze up. They did all the dreaming, they kind of know the broad strokes of what they need to do to achieve that goal, and now they are frozen in fear because they’re like, “How do I do that? How do I even begin to do that?” And you need to recognize that you can break it down into those things that don’t feel as difficult. I liken it to, pretend somebody’s dangling say a chain above your head, and you’re grabbing for it. That’s your goal. You want to grab it so hard. You need to break down that goal into manageable moments that adds links to those chain until it reaches something that you can grasp, right? 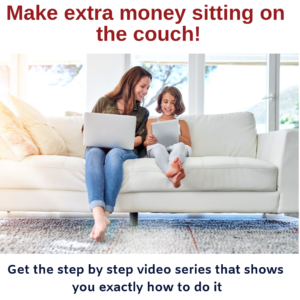 So it might feel very daunting to you right now, but take that action saving $1,000 per month or whatever it might be for you. Take that action. Throw out some ideas. What are some things that you could be doing? How much would I need to save per day? What things in my life could I maybe put on hold? Maybe not go to these type of restaurants, or maybe withhold from buying X, Y, and Z or whatever it might be. What are these little actions that I can take each day? And then keep on breaking it down, and sometimes I like to break it down all the way til, what’s one email that I could send that would progress this goal? I mean, get it to where that moment feels so manageable to you and not scary that you can actually unfreeze yourself and take action on it. Brittany Hoopes: 35:18 It’s like, “Whoa.” Yeah. Lisa Linfield: 35:20 “I’m going to take too long,” and I lose that sense of satisfaction of being able to cross off the very next action. I always think that if you listen to a podcast or you read a book or you go to a seminar or you do whatever, if you just take away one thing that can change the path of your life, small or big, then you’ve won. And in this entire book which has got huge systems on how to be more productive and effective and all those good things, the one thing I’ve taken out is try and be disciplined about not writing the end thing on your to-do list, right? Lisa Linfield: 35:54 The very next step, and then cross that thing off because it gives you a tremendous sense of achievement or what you called those manageable moments. You get to celebrate each one of those manageable moments rather than beat yourself up because the thing is carried over every single day on your to-do list. Brittany Hoopes: 36:10 Yeah, and think of it this way too. I thought it was a beautiful example that you gave from that book is that, okay, so you had before, “Get five clients,” but then when you started outlining what those actions were that you do, get five clients. Sure, you play an element of that, but ultimately it is the client who is deciding to sign with you, right? Brittany Hoopes: 36:28 You need to make sure that your actions are something that you have control over. Because here’s another thing. Talk about personality, right? Us driven, type A, whatever it might be women, we are control freaks sometimes, and I definitely am in that camp and that can be what makes goal setting so frustrating for many of us is that our goals sometimes depend on other people, and you want that control but fundamentally you don’t get to make that decision. But guess what. You get to make the decision on how many people you outreach to. You get to make the decision on the way that you pitch them or the way … Focus in on the actions that are under your control. That’s that third part of that framework that I mentioned. Really embodying the habits of those actions so that they become you, they become the schedule, and even if your ultimate goal does rely on other people, you don’t get to determine that. You can’t make that decision. They have to make that decision, and you have to let that go and recognize, well what can I do? And only focus on those things that you have 100% control over as part of your goal, because you can’t measure yourself any other way. You would drive yourself nuts, and trust me. I’ve done it for so many years with acting. I would just beat myself up over the fact that I didn’t get a part. I didn’t get to award that part. A casting director did, and I don’t know why they decided to go with … Maybe it was because I had brown hair. Who knows? You don’t know what’s going on. They might have loved you. Lisa Linfield: 38:01 So if we look at the ability to get through the setbacks and the major setbacks, not the little ones. The ones that knock you off your feet where the lights of excitement and hope go out. Have you found that there is a correlation between those people who have an element of faith or belief in any higher power or greater picture or the universe or whatever it is, is there a greater ability for them to pick themselves up? For them to be resilient? They’re able to look at it analytically in that way, and it’s just belief in something. It’s belief in a future and the fact that it isn’t game over for you if things aren’t going right in your goals, that it’s just taking a different form and that you just have to get back at it. That that’s the only option really, and that if it helps to turn towards your faith, that’s a great way to do that. If it helps to turn inwards or towards spirituality or meditation or whatever it might be, it’s a great way to do that. If it helps just to look at it analytically. It comes back to the way that you relate to yourself and your personality and what works for you. Lisa Linfield: 40:06 That’s absolutely true. I remember interviewing a woman for a job and she was brilliant. She was absolutely excellent, and I remember saying to her, “I’ve interviewed another candidate and it’s between the two of you as to who gets this job, and I haven’t made up my mind yet because I need time to reflect and think about unintended consequences, but if you don’t get the job, it’s not because you’re not brilliant.” It’s because the context of this organization is that she was analytical. She was an actuary. She had immense deep experience in that kind of almost disciplined execution side of it, but I knew in my heart that the organization actually needed a visionary, a trailblazer. That person who does when they get knocked down and when the organization says no, gets back up and with that enthusiasm goes and changes the world. And it was an interesting piece of feedback because I remember a little while later her saying, “You know, it made the no a lot easier because you had given context as to, it’s not me. It’s you. It wasn’t me. It was the organization, and the fit in the organization.” But she said, “Actually, the role that I got thereafter was extremely fulfilling,” and I think that it’s part of this whole thing is to believe that there’s a bigger picture out there of which you might look at it as quite a setback, but in actual fact there’s a bigger story out there either for someone else’s story which you happen to be crossing paths with, or for your own story that there is something greater. There is a certain level I think that it helps, whether it’s life experience as you said or whether it’s a higher power or what it is, to believe that this is only one chapter of the story. It’s not even vaguely near the end, and if you can continuously open a new chapter and start by infusing it with hope and setting the scoreboard back to zero you can do quite well in terms of your ability to pick yourself up and carry on going. Brittany Hoopes: 42:41 Absolutely, and I think focusing on the journey of the goal has been such a key to that whole process. I mean, it is great to dream and to come up with that dream and I think it’s a very vital first step of your goal setting journey, but to recognize that really what you’re committing to isn’t necessarily the end goal. That particular flat, that particular, you know, how that’s going to look. What you’re committing to is the journey. The journey that you want to live. The way that you want to feel as you’re going after this. The experience that you want to have. The things that you want to learn as you’re taking those actions. Then it’s like, like you said, you’ll end up finding something even better by the end, and you learn from that and then when you’re X amount of years down the line when you’re doing another goal and you feel a little hopeless in that sense, you can pull back and say, “Hey, remember that time when I lost that flat and then I ended up getting something better?” That can be your belief system. I mean really, what good is a goal if we’re miserable and we’re not aligned with the life that we want to live the years it takes to get to the end goal? You know what I’m saying? All we have right now is this present moment. Sure, there will be things that you need to do in your goal that don’t feel so good. Oh, I’m saving up for retirement. I wish I could spend that money right now. There are going to be things that are going to feel tight, that are going to feel maybe a little uncomfortable, but as long as you can embrace that journey and what you’re learning from it in pursuit of that goal, I think you’re much better off. Lisa Linfield: 44:25 You know, it’s a fantastic thing that you said. I’ve written it down. Believe that the end goal is going to be what it’s supposed to be. So to believe it, but to suspend disappointment of not being able to this particular moment be on track for it, but focus your energy on finding that joy, on finding the other things in your journey along the way. Holding the two together. Holding the disbelief and the belief in the same time, to be able to say, “Actually, I believe I’m going to reach this goal and even though right now it feels like I’m going backwards 100 steps, I’m nowhere near being there, it’s not going to happen,” to almost park it and focus on today. To say, “What can I do today to bring joy to my life, to other people, to the family and friends around me?” So it’s almost the ability to enjoy the now whilst both holding the disappointment that the current issue has stepped you back 10 steps, but also the belief that you will get there at some stage. Brittany Hoopes: 45:32 It’s such a delicate balance of how much of our mental energy do we put towards the future versus the present versus the past, and I feel like to dream we have to be future facing, right? We’re envisioning what we want that future to be like, but think about that. If you’re 100% future facing, think of all that you’re going to miss out on in this present moment. I always liken the goal journey to you need to kind of be like a detective, an investigator. You need to be curious in the present moment of that goal journey, because you might miss out on something. Take my example in my life. I had blinders on. I was just thinking about me winning my Oscar for being an actress, and I didn’t pursue other hobbies. I didn’t do other things. I was so future facing that I was never in the present moment, and I was miserable and it finally took that moment that I said, “You know what? This journey that I’m on, I’m not enjoying it. It’s not my passion. Right now this very moment, no matter how many years I had been dreaming about it, it’s not worth it for me.” It’s like I took those blinders off and I could see a whole new world, and being in the present moment allows us to see other things that might actually shift what our end goal ends up becoming. But that’s okay, because you have more information. You have more knowledge. You’re more in tune with yourself and your wants for your goal, if you can allow yourself to not be so caught up in the future. Lisa Linfield: 46:54 Or the past. Brittany Hoopes: 46:55 Yeah. Or the past. Oh, that’s a whole other conversation. For sure. For sure the past. Lisa Linfield: 47:01 Because what you’re saying makes me think of this fact that since you were three you had had this dream. The Oscar, the [inaudible 00:47:12], and it makes me want to after the interview question myself as to how much of my current dreams are actually rooted in very old thinking. Their trajectory isn’t in line with where I currently sit today. It’s anchored somewhere deep in the past on a thought or an assumption that might not be true. I can’t imagine what it must be like to have dreamt something your whole life and then realized that actually that doesn’t exist. It’s not relevant anymore. Brittany Hoopes: 47:45 Lisa, I love that you brought that up because that’s actually a huge element of my research and a direction that I’m currently going in on right now is identity and goal setting. Because there are so many goals that we tie our identity to that are very much rooted in past assumptions. I very much can admit right now, much of why I stuck with acting was because I got so much recognition from my family. I would never complain about how supportive my family was. They were incredibly supportive, but I became Brittany the actress, you know, and my parents would go to a cocktail party and they would talk about what shows I’m in right now. That was who I become, and it so became a part of me from such a young age that I didn’t even question it. I never question it. That’s who I am. That’s what I’m recognized for. That’s what I’m good at. You begin to weigh all these other factors and it can become your identity, but what I love to do is take a step back and realize, you know what? Your identity isn’t just your career. Your identity isn’t just your family. It isn’t just where you live. I mean, there are so many areas of our live that comprise of who we are that it’s really, I don’t believe and I’m on a quest to kind of suss this out, but to have any one identity tied to any one goal for yourself just doesn’t make sense because you are comprised of so much of so many different areas of your life, and really the whole goal setting journey is balancing the things that you want out of all those different areas. So whenever I ask any of my goal setters or anybody who comes onto my podcast per se, I ask them what their goals are but I remind them that I might be talking to you because you did something cool in your career or you did something cool elsewhere. I’m recognizing that that’s not all who you are and that’s not only goals that you have, and so I love when I have these brilliant women that have started these amazing companies that are on my show and I ask them what their goals are, and they say, “I want really defined arms.” It cracks me up and I love it because I’m like, that’s somebody who recognizes they don’t equal that one goal that they did. They’re more than that. Lisa Linfield: 49:41 And I think we all should have goals that are more than one element of our life. Lisa Linfield: 49:48 I was doing one of those things that you do at the end of the year that pop up on your Facebook posts and you rate your health, rate your wellness, whatever it is and I giggle at the spidergram because essentially I know exactly what it is. I’m starting a new business. I’m trying to teach a million women. I’m starting all these things, so I laughed because I scored 15 out of 10 for the learning curve, and I got 2 out of 10 for my social life, and I think you should have goals in every area of your life but you should also recognize that there are seasons. When I was about 10 years ago in corporate we had a leadership breakaway and we had to write our one leadership lesson on a piece of paper and there were quite a few leaders but there was one that really stuck out at me, and it was a guy whose journey I was very familiar with up until that point and when I look and reflect back, he’s had an unbelievable trajectory. But he had just gone through one of those hard periods of his career and he wrote then, and he was a colleague of mine. He wrote then, “Your career is a marathon, not a sprint,” and the context why this resonates so deeply is that he had gone from technically being a regional manager a level below me to being my colleague and then to being my boss, and at that stage he was my colleague, so when I look back on it it’s even more true that his career has been a marathon and not a sprint. I think that’s a challenge for us particularly overachievers is that you are taught at school and at university that your success rides on every single test. There’s that sense of sprint. It’s from this set of exams to the next set of exams, and you ace that sprint and you ace the next sprint and you ace the next sprint and in order to graduate well and get into whatever you need to do you’ve got to ace every single sprint. Yet when you hit the real life, this thing of having to score 100% on your test is not the thing that determines your promotions in your career, and that there are phases and seasons in life where our goals have to be contextualized within the season. Having kids. It always comes as a shock to people that you cannot be the absolute best performer when you have newborn children. Why? Because you don’t have the time. You don’t have as much time as you had before. You don’t have the sleep. You don’t have anything, so there are phases and seasons to this goal and one has to hold that future hope within the context of the current season and understand that the scoreboard becomes a lot more complex as you go through life and the demands on that scoreboard become so much more than just this one exam to the next exam and acing every single one of them. Because unfortunately there’s a lot more than that at stake. How do you personally find that researching the goals, resilience, hopes, styles of millennials is different from any other generation? Brittany Hoopes: 52:55 I mean, I think that’s interesting. Unfortunately I haven’t had the opportunity to study other generations. My focus is on millennials, but I think what’s interesting and what I think we’re going to continually want to keep a pulse on and see is just how you mentioned here. That it isn’t the sprint. It is the marathon, and that one little trip up isn’t going to set you back. That you can recover from that, and I think that’s increasingly becoming harder with just the society that we live in. It’s an Amazon Prime society. You can click your fingers and food can be delivered to you automatically. The technology that is available to us and that us as millennials and even Gen Z coming up behind us is that we’ve grown up so much with just this instantaneous reaction of services and products just at our disposal and we haven’t known anything else, and I think that really influences the way that we see the world and the way that we see our goals, and I think it does us a disservice but at the same time we see this huge resurgence of mindfulness and health and wellness and self help in a way. People crave it, because we recognize that something’s lacking. We’re recognizing that hey, it might be nice that we can get these products and services through this app on our phone same day. That might be really nice, but that’s not how these kind of long term things that we’re yearning for, how they work. And so we’re having to educate ourselves and be in touch with okay, so what do I need to do? What skills do I need to develop that society isn’t really giving me or prioritizing but that I need in order to see this goal? We have to learn that, and I see so many women recognizing that and craving that other element, that skill. Lisa Linfield: 54:40 Do you think that because of the instant gratification nature that millennials have a harder journey on resilience? Brittany Hoopes: 54:53 I think that will be interesting to see. Again, and I hate to always say this answer, but it’s so hard because we see pockets. It really comes back to so many of the elements that we talked about before of personality and of proving it to yourself and that belief system and things like that. I think it will be interesting to see as we continue to grow. All I know is that more and more we’re recognizing this disconnect. Honestly I think if there were to be anything to say about the state of our world today and going on social media and all the negative news that we tend to be bombarded with, especially being in the United States here right now, I think others are recognizing that that’s not a good mind space to be in and that maybe I need to limit how much time I’m on social media because it makes me feel bad about where I’m at. Everyone else seems like they’re ahead of me, or reading all this negative news all the time is really draining my energy. I think people are recognizing that some of this instant gratification isn’t all what it’s chalked up to be, and they want to do something about it. So maybe perhaps in the end it’s making us more mindful of what we really do crave and what we really do need. Lisa Linfield: 56:02 That’s fascinating and I can’t wait to watch your journey because I think that it’s going to be one that as a qualitative researcher will be documented and structured in a way that can provide learnings for other people. Lisa Linfield: 56:15 You see the great work that Brené Brown is doing in terms of the qualitative research she does. Lisa Linfield: 56:21 And the insight that she has brought by being a person who has reflected throughout her own personal journey and taken those reflections, done qualitative research, and come up with fundamentally different insights as to how to see the world, and I think that that’s one of the great gifts that qualitative research has done in the last couple of years is it’s balanced the set of facts and figures about how we see and perceive the world with a structured scientific way of extracting the more qualitative side, because when people say to me as a financial advisor it’s all about investing and returns and percentages, I giggle. Because that is the smallest part of my job. The biggest part of my job is understanding how to motivate people to save more money, how to deal with the fact that life changes all the time, how to understand that clients make financial decisions not like a spreadsheet or not like the quantitative researchers tell us, but that they make it much more like the behavioral economists tell us. That people don’t act like a spreadsheet. They are human beings. Brittany Hoopes: 57:34 That’s how I came up with the name for this whole part and the podcast, Soultiply, is that I felt like there’s this soul element that we can’t put facts and figures and numbers neatly into, and that really how we can learn from each other’s experiences and learn from each other’s souls is through story and through that qualitative research, and I love that you mention Brené Brown. I always say, “Oh, when I grow up I want to be Brené.” She’s such an inspiration to everything that I want to do on goal setting, because there’s so much to learn from individual, unique stories and if you can amass enough of them, hopefully someone like me can step back, see the patterns, and share them with others. That’s my goal. Lisa Linfield: 58:16 That’s a fantastic goal. So for all of our listeners out there, how do we get to listen to you, hear you, and watch this journey and check in on the new coding and thoughts that you’re doing in terms of how all of us can set better goals and achieve them? Brittany Hoopes: 58:32 Yes, absolutely. Well I think the best way to do that would be to go to Soultiply.com. That’s Soultiply, like multiply but with soul, and you can find out more about me there, more about the research. There’s links to the podcast. Obviously you’re a podcast listener, so you can look up Soultiply on Apple Podcasts and find the show that way too. We talk to inspiring women on every stage of their goal journey. It’s very important to me in at least the interviews that I do that are podcast facing. That’s separate from the research, but that we have people in all different stages of their goal journey. Because I don’t like to put anybody on a pedestal that, oh, you’ve achieved this much. I’m interested in the people who are in the thick of it, who are doing it right now and who could share what they’re learning, and that’s really what we focus on. Then I have solo episodes every other week too that show some of the patterns that are emerging from the research and tries to develop some frameworks and actionable activities that you can do to conquer those. Lisa Linfield: 59:28 Well thank you so much for being with us and sharing your research. Take care. Brittany Hoopes: 59:32 Thank you, Lisa. Lisa Linfield: 59:33 That was millennial quantitative researcher Brittany Hoopes. I definitely learned a lot about goals, goal setting, and some of the mindsets we need in order to set successful goals, and I’ve even implemented a few of the techniques since recording this episode. I hope that you will follow her or listen to her podcast, and for everybody out there, have a great week. I’m Lisa Linfield and this is Working Women’s Wealth.